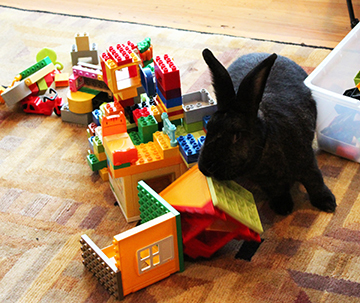 Pet rabbits will chew your stuff. Really they will. People ask me, “How do you keep him from chewing your wires?” Well here is my answer: I move my wires. Rabbits need to chew daily to keep their teeth from growing too long. 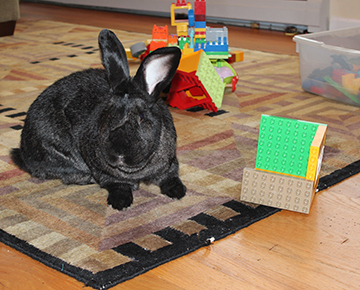 That may be why your rabbit chews things like your baseboards. Maybe. But it is not usually why your rabbit chews wires. Rabbits plan their escape routes in advance. When you see a wild bunny zigzagging through a meadow into the briars, that is not random. In an absolute emergency they may go off course, but normally the escape has been practiced and planned. They run the course daily clipping any vines or briars out of the way so they have a clear, rabbit sized path, to move through swiftly when being chased. Your sweet indoor bun is simply clearing his escape routes when he clips your wires. 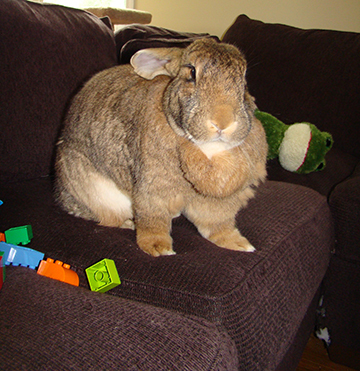 Usually rabbits like to plan sneaky escapes, so squeezing behind the couch is a favorite path of many pet rabbits. People often have wires behind their furniture to “hide” the wires. You can see the rabbit’s only option is to clip those intrusive “vines”. My rabbit Bramley used to keep the couch “clean”, as it was one of his escape routes. He would take my daughters books and toys and toss them like a Frisbee (from his mouth) onto the floor. Once the entire couch was clear he would flop down and relax. I know it would be nice if I could just “tell” the rabbit not to chew. And sometimes that works or at least helps, but going against their nature is very difficult. Moving your stuff is generally easier. 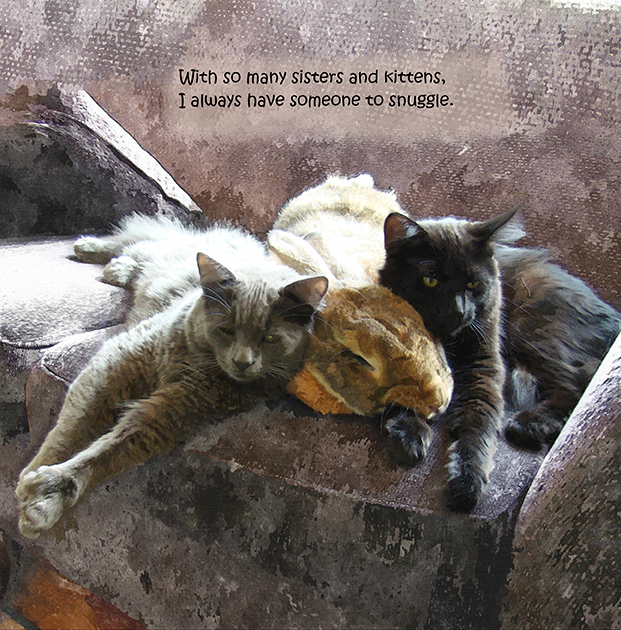 Speaking of Bramley: I wrote a sequel to my children’s book (Bramley’s Little Sister). 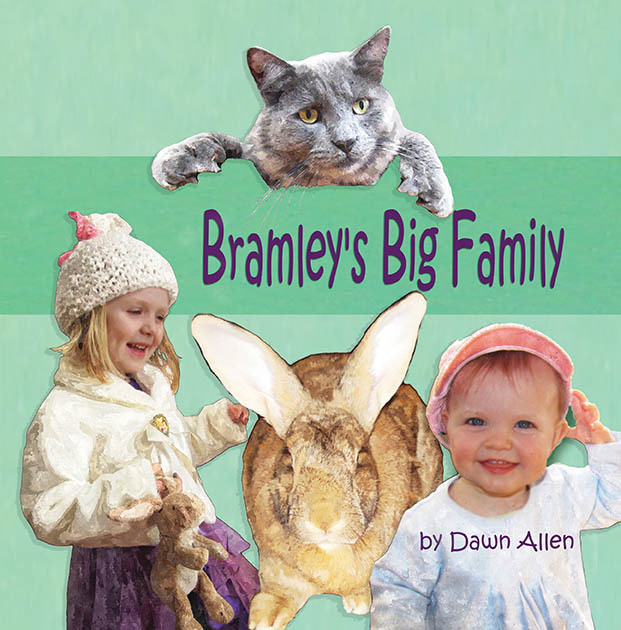 The new book, Bramley’s Big Family is available on Amazon and the 2nd edition of Bramley’s Little Sister is also on Amazon. Perfect for an Easter Basket! 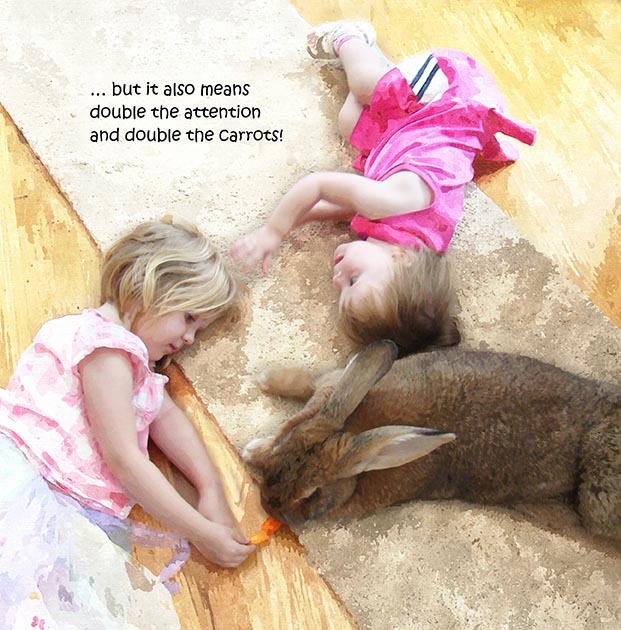 The above article has been written based on feedback from rabbits. I don’t know what “science” says about this escape route concept. Not sure about bunnies traveling. 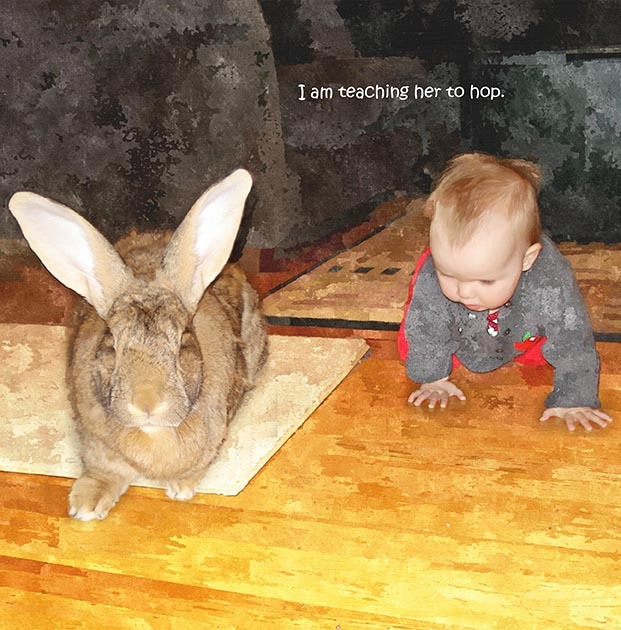 I don’t know of any bunnies who have tried that. I am guessing they could get used to a car just like a cat. Heat is very dangerous for them- they can die if it gets over 80-90 degrees in their environment, so you must have reliable air conditioning. My rabbit needs to be fed twice a day because he would overeat if left with too much food. I need a pet sitter to feed him if I am out of town but he is OK to be by himself otherwise. I would agree our couch suffers more from cats than from the rabbit. Plus, as my article explains, bunny chewing is predictable and mostly avoidable if you know not to put stuff in their way. (Variances in personality do occur of course).